Lisa Page, an attorney who was part of Special Counsel Robert Mueller’s team investigating Russian meddling in the 2016 election, has left, the special counsel’s office confirmed. Page, who was an attorney with the FBI’s Office of the General Counsel, returned to the FBI in mid-July, special counsel spokesman Peter Carr confirmed to CBS News’ Andres Triay. The news of Page’s depature was first reported by ABC News. Page was one of nearly two dozen high-profile attorneys and investigators who Mueller assembled. Prior to her position with the FBI, Page worked as a trial attorney in the Organized Crime and Gang Section of the Justice Department’s Criminal Division. Page has prosecuted a number cases involving eastern European organized crime. In one case, she partnered with an FBI task force in Budapest that investigated a money-laundering case against Mr. Trump’s former campaign manager Paul Manafort’s one-time business partner, Dmitry Firtash, a Ukrainian oligarch. age is the second person to depart the team so far. 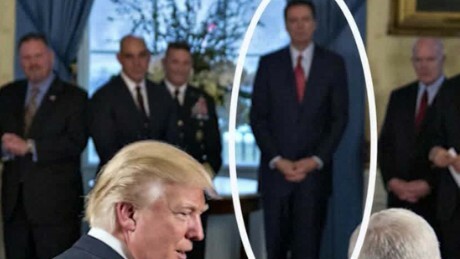 Peter Strzok, who was chief of the FBI counterespionage unit that was involved in overseeing the FBI’s investigation into Hillary Clinton’s use of a private email server last year, departed the team in August. It’s unclear why Strzok left. 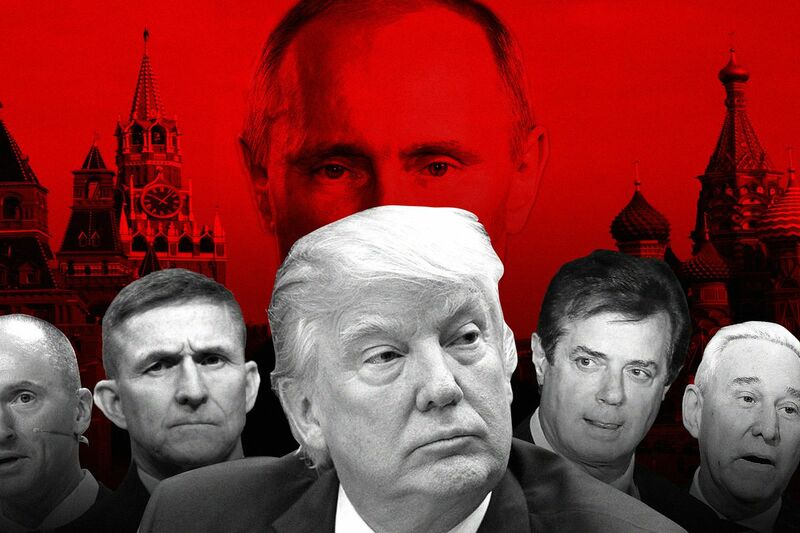 The scope of Mueller’s investigation, individuals familiar with the matter have told CBS News, includes Russian interference in the election, Russian hacking, any other Russian influence and possible financial wrongdoing. CBS News reported in August that Mueller is using a grand jury in the probe, which is an indication the probe is intensifying. The impaneling of a grand jury means Mueller’s team has the ability to seek indictments and subpoena records, although the special counsel already had broad investigative authority when Deputy Attorney General Rod Rosenstein announced he was naming Mueller special counsel. Shortly before the appointment, Mr. Trump abruptly fired then-FBI Director James Comey. And Rosenstein was given oversight of the investigation after Attorney General Jeff Sessions recused himself from the Russia investigation. Mueller’s team recently obtained records from Facebook regarding $100,000 in ad buys Russians made during and immediately after the 2016 presidential election. Between June 2015 and May of this year, about 3,000 ads connected with 470 “inauthentic accounts” were posted on Facebook, according to the social media giant. Washington (CNN) Puerto Rico and Washington seem farther than 1,500 miles apart right now — in fact they’re experiencing a different version of reality. But after eight months in office, that pledge has become a favorite punchline on the web. Rather than a home to efficient, skilled operators, the Trump White House has been marked by an eccentric swirl of office politics run amok and off-hours fits of pique. Here’s a quick skip through the profound — and very real — weirdness that has colored much of the current administration. No one hides from the press (or the President) better than Trump’s people. , the lanky lawman tried to avoid the awkward interaction by blending in with the drapes, which matched his blazer. — some bushes on the White House grounds rather than confront a hungry pack of reporters. Former chief of staff Reince Priebus’s departure from his job, ditched on the tarmac after a ride on Air Force One, was an uncomfortable affair. Perhaps it would have been less so if there was a large trash can there to obscure reporters’ view. when the President starts lighting fires. Is it a coincidence? 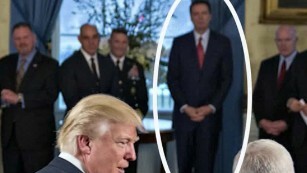 Are they keeping a lid on Oval Office shenanigans — only to see it pop off when they leave? Or is it — as the critics have increasingly suggested — that they are actively trying to stay out of the less flattering headlines? Trump has repeatedly found himself in odd situations with the biggest star of all: the sun. 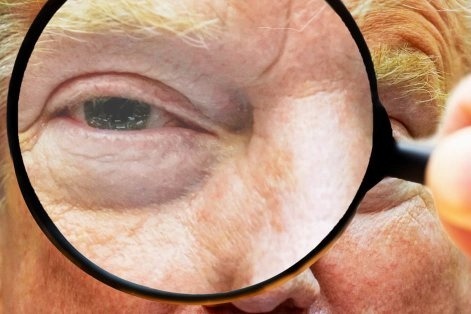 He most recently took on a solar eclipse — training the presidential retinas directly on it. 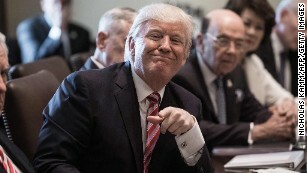 According to the press pool on hand that afternoon, “White House aides standing beneath the Blue Room Balcony shouted ‘don’t look'” as Trump, well, looked. 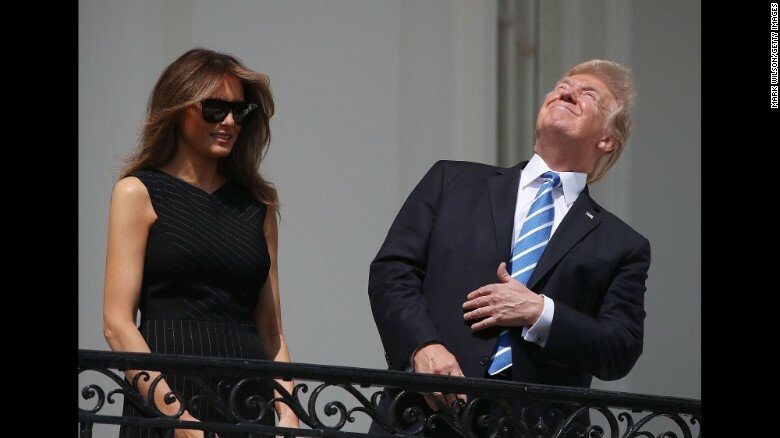 President Donald Trump looks up toward the Solar Eclipse while joined by his wife first lady Melania Trump on the Truman Balcony at the White House on August 21, 2017. Before that, there was the famous “orb.” During his first visit to the Gulf as President, Trump gathered with Saudi King Salman bin Abdulaziz and Egyptian President Abdel Fattah al-Sisi to paw an odd-looking, glowing sphere. As it turns out, this was less a star than some kind of incandescent globe, meant to signify, as noted in the Saudi embassy tweet, some kind of new joint effort to combat terrorism. Does it please the President?
. He tells us constantly. His subordinates know it and have, on occasion, gone to outsize lengths to prove their own. 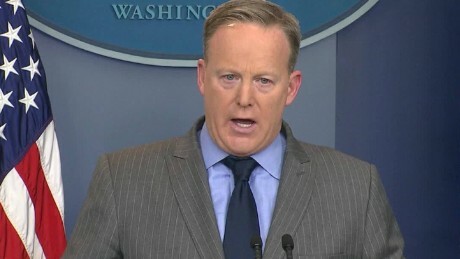 Spicer’s rant was a signal of things to come. The next day. Trump senior adviser Kellyanne Conway went on NBC to defend her colleague’s assertions, up to a point. But there was no alternative, only love, when Trump formally introduced his Cabinet in June. As the group went up and down a long conference table, they hand-bathed the President in praise. Energy Secretary Rick Perry: My hat’s off to you for taking that stand (on the Paris climate deal), for sending a clear message around the world that America is gonna continue to lead in the area of energy. UN envoy Nikki Haley: “It’s a new day at the United Nations. We now have a very strong voice. People know what the US is for, they know what we’re against, and they see us leading across the board. Do a deal. Have a meal. Trump has brought with him to the presidency some of the vestiges of the New York City real estate life. Among them, a desire to combine food with business. Earlier this month, that meant dinner with Democratic leaders Chuck Schumer and Nancy Pelosi included Chinese food, but no Republicans. They walked out of the meeting with some conflicting reviews, though not of the cuisine. The questions centered on whether Trump had agreed to a deal that would protect DACA recipients in exchange for a bump in border security (but no money for the wall). That last bit is still a mystery. What’s not is the President’s preference for a chocolate dessert. At the Pelosi-Schumer get-together, it was pie. But back in April, there was a different order. Two of them, actually. First for cake, then for airstrikes on Syria. How do we know — and why do we care — what Trump had for dessert before making the decision? Because he told us. 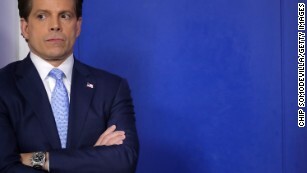 In an interview with Fox Business Network’s Maria Bartiromo, the President turned his recollection of the strikes into an advertisement for his Mar-a-Lago resort. It wasn’t the first time the President put on a show for the paying customers at Mar-a-Lago. In February, Trump and Japanese Prime Minister Shinzo Abe were tucking into iceberg wedge salads when word came down that North Koreans had launched an intermediate-range ballistic missile. Waiters stayed on the scene too, swapping out the salads for a main course. But Trump and Abe soon moved to another room. It’s unclear if they ever made it to dessert. The Trump administration is still short of the quarter pole and it’s already staked a claim to being the leakiest in American history. And while it’s not usually considered a leak when it comes from the President’s mouth, The Washington Post in May reported that Trump shared highly classified information with the Russian foreign minister and ambassador during an Oval Office meeting. contains lots of graphic language. a look at the inner workings of a White House increasingly at odds with itself over how to manage special counsel Robert Mueller’s Russia probe. How so? By conducting the conversation, with a colleague, over lunch at a popular Washington steakhouse in the immediate vicinity of both the White House and the Times’ DC bureau. How did the reporter spot him? Well, here’s a picture of Cobb. 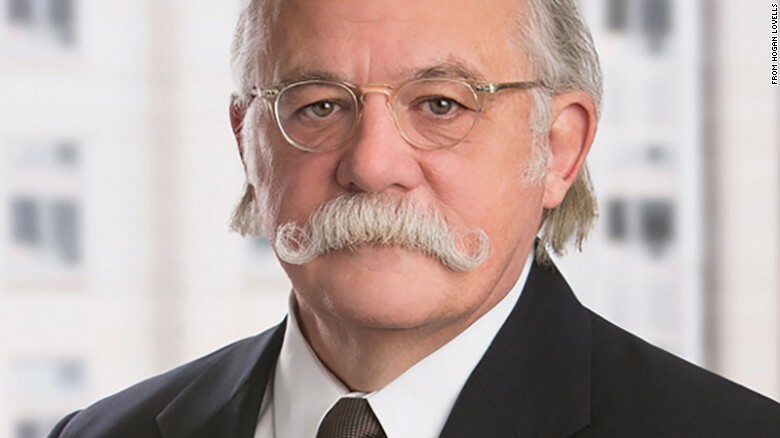 Ty Cobb, the Trump lawyer and flamboyant mustache wearer. And here’s what he looked like on that afternoon, dining and prattling on about all manner of internal intrigue. So have we seen the kind of full-court, all-out relief effort such a catastrophe demands? No. Admittedly, it’s hard to quantify the federal response. But none of the extraordinary measures you’d expect to see have materialized. The deployment of military resources seems to have been smaller and slower than it was in Texas after Harvey or Florida after Irma, even though Puerto Rico’s condition is far more dire. Until Thursday the Trump administration had refused to lift restrictions on foreign shipping to Puerto Rico, even though it had waived those rules for Texas and Florida. Why? According to the president, “people who work in the shipping industry” don’t like the idea. Furthermore, although it’s more than a week since Maria made landfall, the Trump administration has yet to submit a request for aid to Congress. And where’s the leadership? There’s a reason we expect visible focus by the president on major national disasters, including a visit to the affected area as soon as possible (Trump doesn’t plan to visit Puerto Rico until next week). It’s not just theater; it’s a signal about urgent priorities to the rest of the government, and to some extent to the nation at large. But Trump spent days after Maria’s strike tweeting about football players. When he finally got around to saying something about Puerto Rico, it was to blame the territory for its own problems. The impression one gets is of a massively self-centered individual who can’t bring himself to focus on other people’s needs, even when that’s the core of his job. Obamacare repeal has failed again, for the simple reason that Graham-Cassidy, like all the other G.O.P. proposals, was a piece of meanspirited junk. But while the Affordable Care Act survives, the Trump administration is openly trying to sabotage the law’s functioning. This sabotage is taking place on multiple levels. The administration has refused to confirm whether it will pay crucial subsidies to insurers that cover low-income customers. It has refused to clarify whether the requirement that healthy people buy insurance will be enforced. It has canceled or suspended outreach designed to get more people to sign up. These actions translate directly into much higher premiums: Insurers don’t know if they’ll be compensated for major costs, and they have every reason to expect a smaller, sicker risk pool than before. And it’s too late to reverse the damage: Insurers are finalizing their 2018 rates as you read this. Why are the Trumpists doing this? Is it a cynical calculation — make the A.C.A. fail, then claim that it was already doomed? I doubt it. For one thing, we’re not talking about people known for deep strategic calculations. For another, the A.C.A. won’t actually collapse; it will just become a program more focused on sicker, poorer Americans — and the political opposition to repeal won’t go away. Finally, when the bad news comes in, everyone will know whom to blame. No, A.C.A. 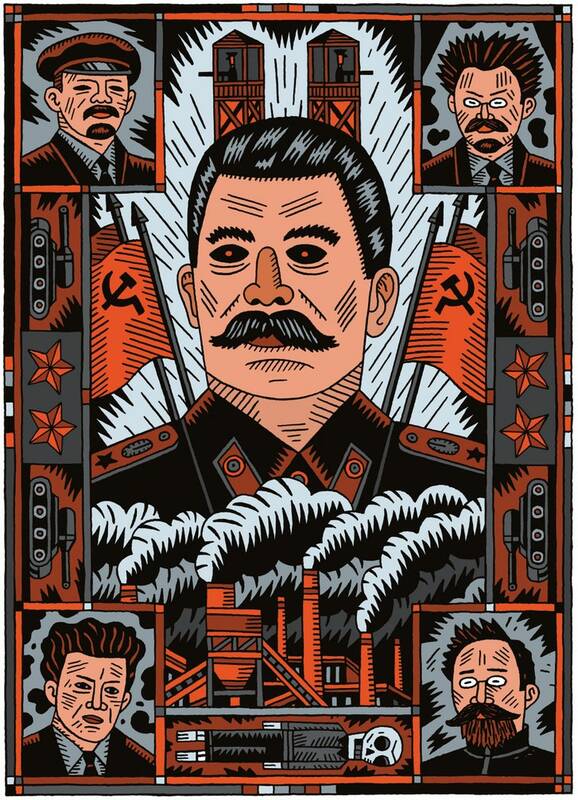 sabotage is best seen not as a strategy, but as a tantrum. We can’t repeal Obamacare? Well, then, we’ll screw it up. It’s not about achieving any clear goal, but about salving the president’s damaged self-esteem. In short, Trump truly is unfit for this or any high office. And the damage caused by his unfitness will just keep growing. Is This The Man The World Wants Solving Middle East Peace?